Macaroon wedding favors are unique, will add to your wedding decor, and are sure to be a hit at your wedding or bridal shower. These unique wedding favors look just like real french macarons, but don't eat them. French macaroon wedding favors are perfect for a Paris wedding theme or bridal shower. 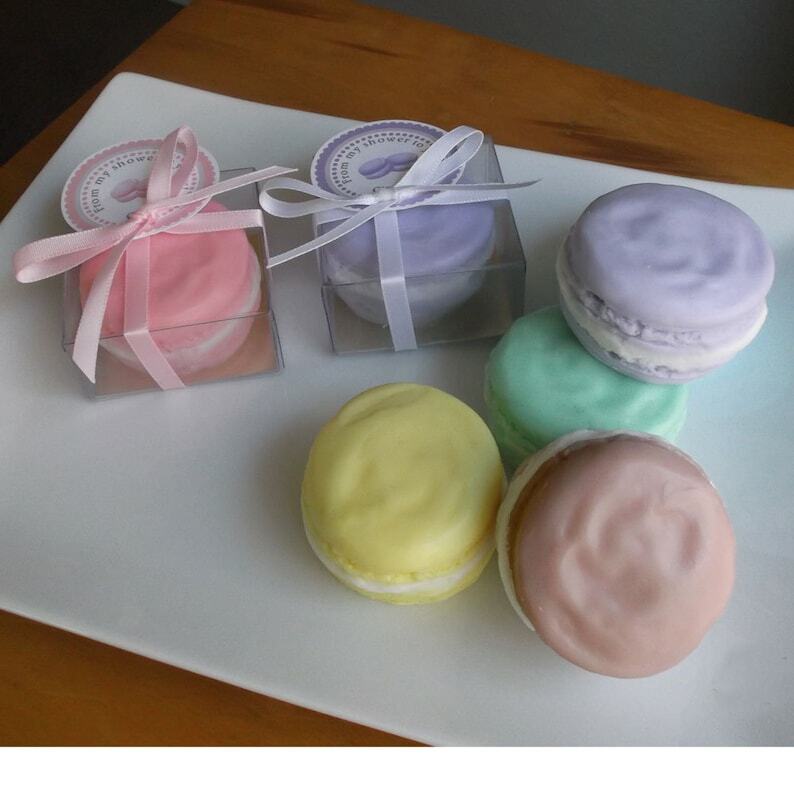 Macaroon soap favors will complete your Paris wedding theme. A Parisian wedding theme is a stylish way to add an extra special touch of romance to an already perfectly romantic special day. Boxes are an additional $1.00 each. Please choose no boxes or boxes in the drop down. Almond Biscotti - Toasted almonds, sweet cake flour and drizzled chocolate. Cake - Rich, creamy vanilla and cake. Pistachio Macaroon - Sugared pistachio and amaretto blended with warm, buttery cookies.